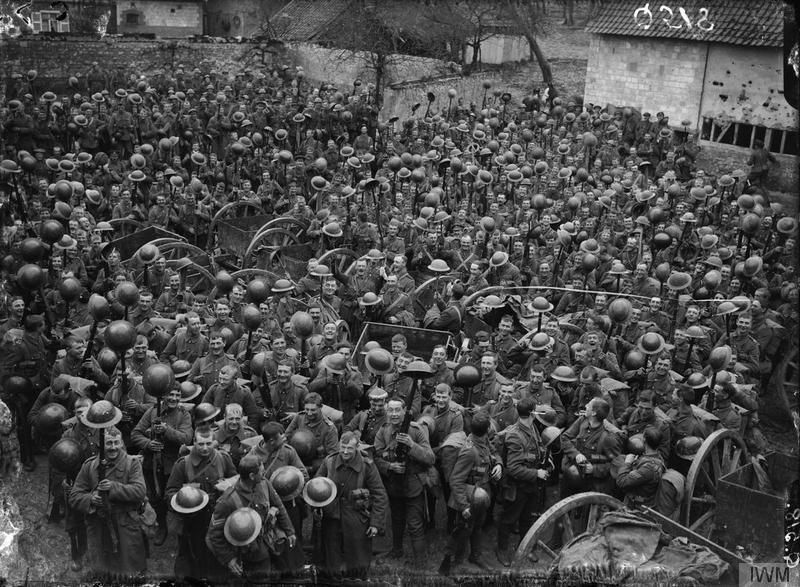 The Territorial Force units of the 55th (West Lancashire) Division were reunited in January 1916 after spending 1915 mainly as reinforcements to Regular Army. The Division retrained and then held a fairly quiet sector of the front. In July, it moved to the Somme to take part in two significant actions, August's bitter, costly and unsuccessful fighting around Guillemont and, in September and more successfully, at the nearby villages of Flers and Guedecourt (to be described in the next article). Panorama of the Guillemont battlefield of 8/9 August 1916 looking north. Trônes Wood is on the left, the entrance to Guillemont Road CWGC Cemetery (with the tall trees) is in the centre and the spire of Guillemont Church is on the right. The road from the wood to the village runs just in front of the cemetery. On the skyline is Delville Wood. On the right, a sunken track is seen running up to the main road near the village on the right. 1/4 KORLR is therefore 1/4th Battalion, King's Own (Royal Lancaster Regiment) - 1000 men at full strength. 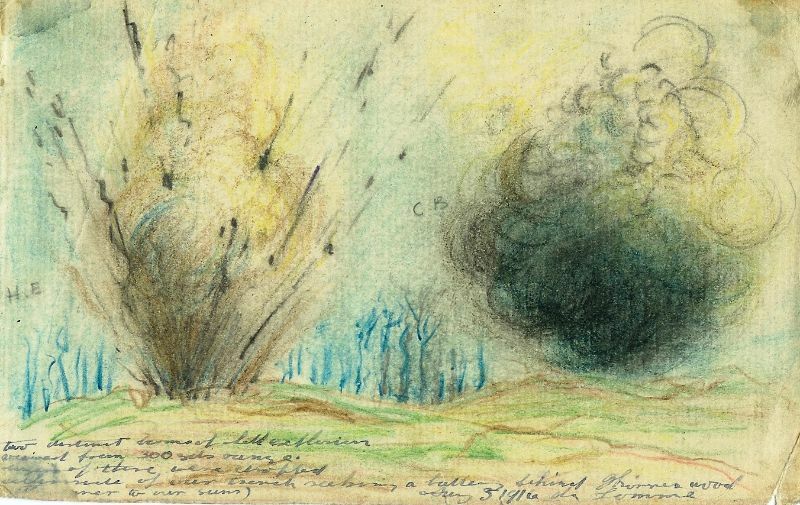 By mid-1916, the French were under desperate pressure at Verdun. 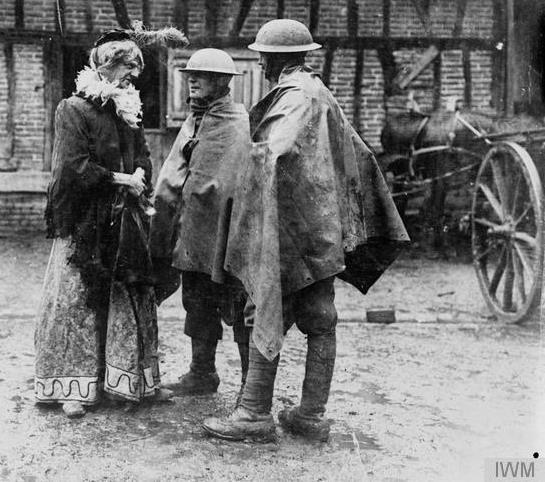 To help, Britain agreed to joint action near the River Somme, the junction of the two allies. This was earlier that we anticipated committing our ‘New Armies’, not yet fully trained and with not enough heavy trench-busting artillery. Before the Somme campaign started (1st July 1916), the 55th Division staged raids and demonstrations on their own front to the north, drawing German resources from the Somme. Battalion-level training had been patchy. 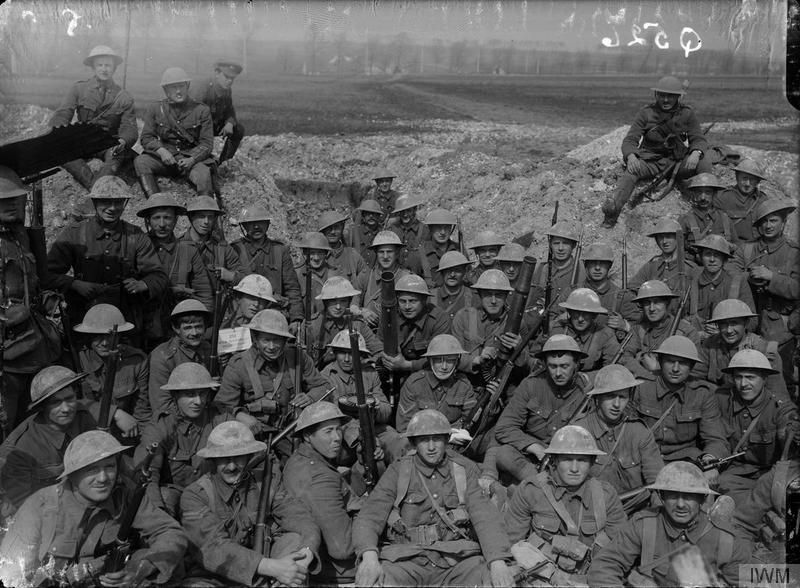 The 1/9th Bn., King’s Regiment [1/9 KLR] had done none for five months though this was not general. During July, their unit tactical training increased sharply. Practice was on ‘model’ trenches using wave formations with ‘moppers up’ following and with rear waves carrying defence stores so supply would not be cut by a barrage. ‘Moppers up’ had become necessary after recent experiences when enemy emerged from dugouts behind attackers. 16/07/16: Whoever thought after 12 months in a good battalion, one we all cherished, we should be flung into a Battalion of …. To think that pals should be separated now on the battlefield … we are also to go over the parapet soon … I am to go over … with strangers – though they all be Englishmen. 26/7/16: It is Hell, although we are successful*, … I am now in the most hotly contested part of the line. I simply trust in God and hope I am spared. … Somebody must be part of this tragic toll of victory, if it be myself, well I am still convinced it is necessary and right. By the end of July, there was very stiff resistance on the right at the heavily-fortified Guillemont village. Urgency meant attacks at shorter notice with less preparation. At 4:20 am on 8th August, the 55th Division attacked Guillemont. On the right, 165 Brigade attacked south of the village with some success. 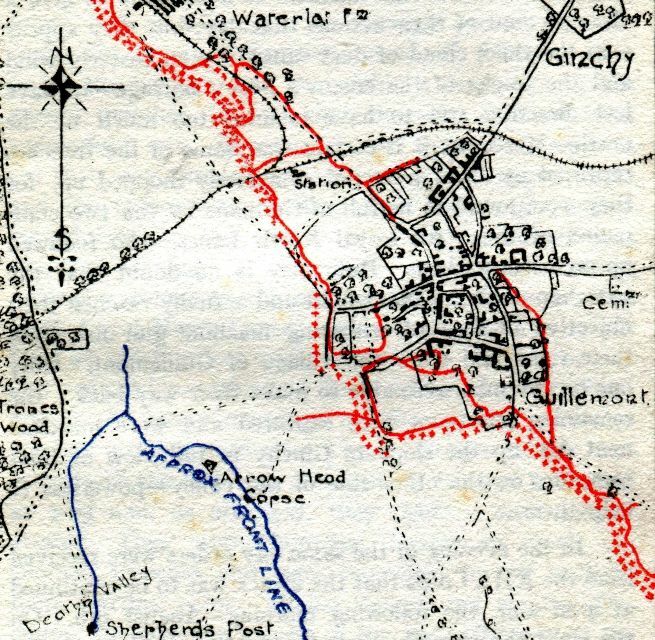 On the left, 164 Brigade attacked with 1/8 KLR (the ‘Liverpool Irish’ together with two companies of 1/4 LNLR) in the north and 1/4 KORLR in the division’s centre. The Lancaster battalion met uncut wire, were rallied by 2Lt Gabriel Coury of the 1/4th South Lancs, the 55th Division’s pioneer battalion, who won the Victoria Cross, but retired under very heavy frontal and flanking fire. The ‘Irish’ attacked through mist and dust but veered left, reaching Guillemont Station but gaining the north of Guillemont. Unsupported on both sides, behind them enemy emerged from dugouts to dominate the battalion’s rear with MGs. The battalion was cut off: only two or three men returned. The war diary shows 515 soldiers unaccounted; many of the missing were later glimpsed being marched away as prisoners. 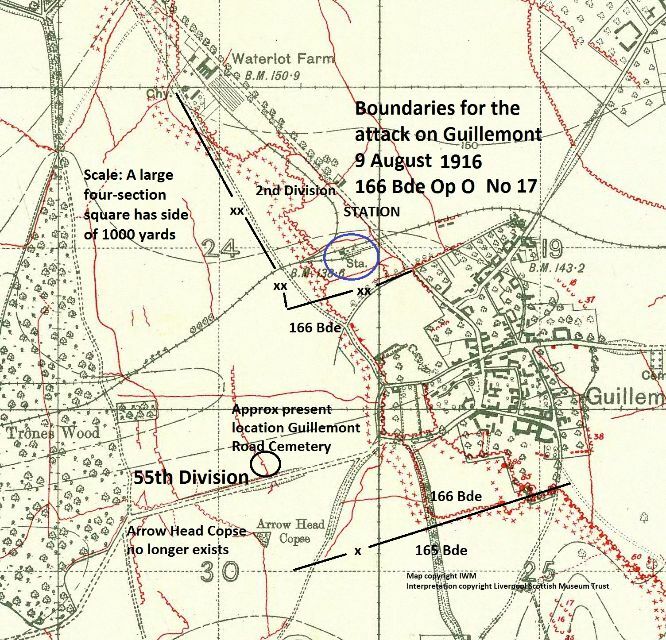 8/6/16: In afternoon 166 Brigade gets verbal instructions … to attack GUILLEMONT in the morning …. All COs apart from 1/5 LNLR are sent for …situation roughly explained. [Additionally] … have to take over the line from 164 Bde. 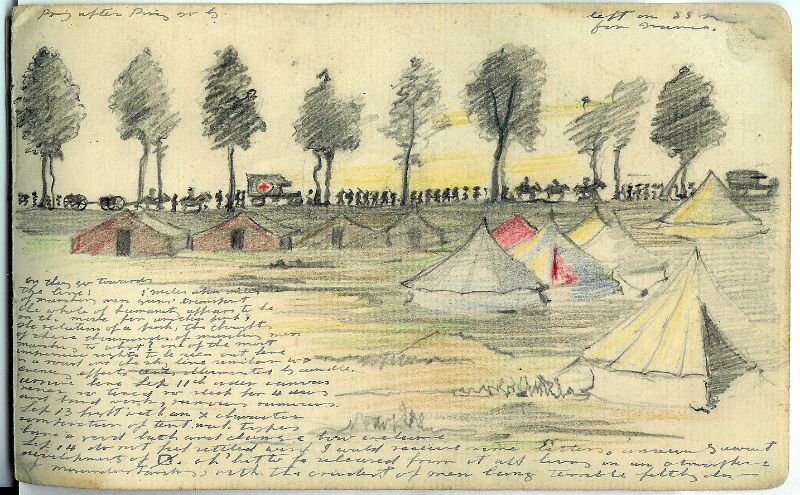 At 9:30 pm [just as battalions start out], [ordered] to halt and await orders. At 10:40 pm final orders received to attack 4:20 am. [At 10:40 pm battalions either on road or at camp]. Move off quickly as possible. Endeavour to get Operation Order out in time. Not ‘all’ battalions arrived on time. 166 Brigade attacked at 4:20 am with, on the right, the 1/10 KLR south of the Trônes Wood – Guillemont road, followed by 1/5th South Lancs [1/5 SLR]. The 1/5 LNLR were supposed to be on their left, north of the road. In 1/10 KLR. They were 40 minutes too late to receive their artillery support. The ‘Doctor’ in this case was Noel Chavasse, awarded his first Victoria Cross in this action, saving the lives of over 23 wounded lying out. 8/8/16: Greatcoats given in …everything indicates we are going over the top. Well, it is a moment to look to. I leave it all and trust in God. Many have lost their lives in a similar way in this war …. If the worst should happen… I only hope those to who I am dear will be consoled with the fact that I do it with a good heart and trust in God. 12/8/16: Carry bombs, 2 boxes. An agony march. Trenches narrow. … Arrive in reserve trenches greatly fatigued. Oh the sights I have seen …a haze of drama, murder. I have been over the top in a charge. It was hell. How any man lived through it is a mystery. My feeling before going was beyond words. … To portray the charge is impossible. I wish to God I could forget it all. I am safe. Many of my pals are no more. In concluding, there should be recognition of the Victoria Cross that never was. 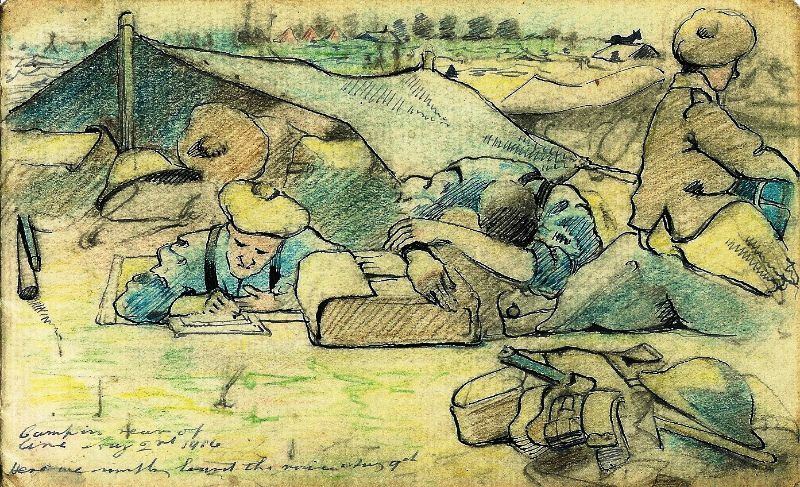 In the attack of the 1/9 KLR on 12 August, Private John Bell Buckingham, one of the Liverpool Scots attached to the ‘khaki’ battalion, tended the wounded all day in the open under direct fire until he was killed. Sadly, his recommendation for a posthumous VC was not approved. Shortly after this, the 55th Division goes into reserve, to re-equip, reorganise, retrain, and absorb new drafts of men. Considerable time was spent trying to learn the lessons of the early Somme campaign, drawing on their own experience and that of other divisions. They were back in action in September at Flers (near the scene of the first deployment of tanks) and Guedecourt, both east of Guillemont, which did not fall into British hands until the beginning of September. Acknowledgement: Mrs Brenda Giblin, for her painstaking work in transcribing the Campbell diary.